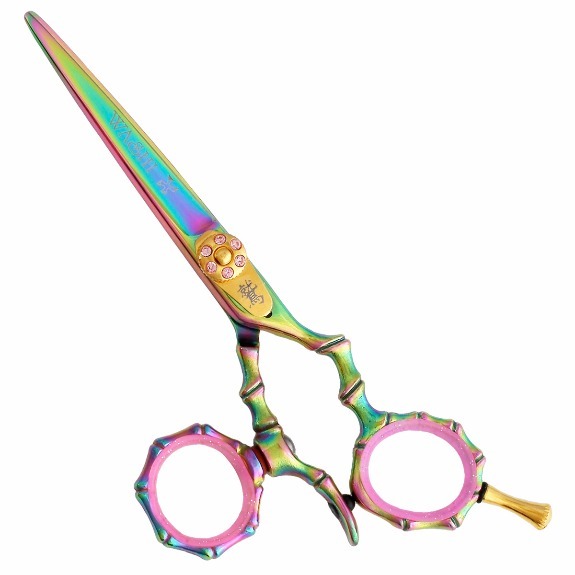 The Bamboo Rainbow swivel shear is designed for a stylist who is looking for a healthier alternative to a conventional shear. The swivel thumb lowers your elbow and shoulder positions for greater comfort and relieves wrist and thumb fatigue. The Bamboo Rainbow swivel is made from top quality Japanese steel with a semi-convex edge for precision performance every time.